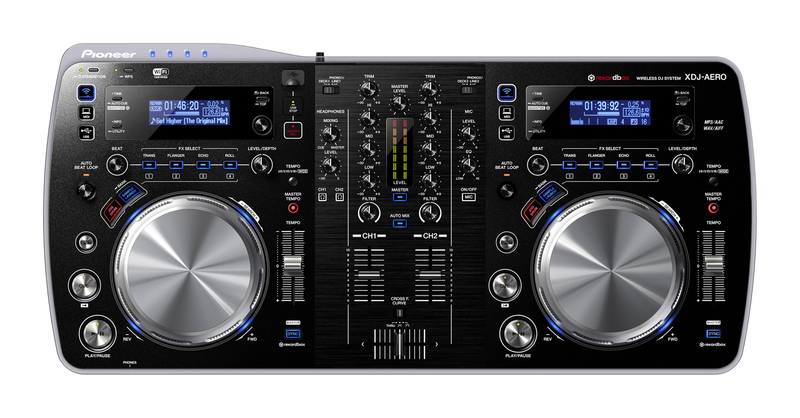 On August 9th, just one day after the announcement of the DDJ-ERGO, Pioneer announce yet another DJ mixing device, the XDJ-Aero. This time however the price point is more than double that of the ERGO at $1399. Admittedly this unit looks a lot more flashy than the ERGO and has a slightly different layout. The main difference however is the WI-Fi functionality. Yes, the Aero can recognize upto four wi-fi devices, from which you can set up your playlists, (special app required) or maybe even ask people at the party to offer up their music collection, you are even able to set up your own WI-FI network from the unit. Although designed for use with Pioneers own software, ‘RekordBox’, you also have the added option of plugging income external audio equipment and using it as a standalone mixer. I have not yet seen a mention of its compatibility with Traktor Software, stay tuned for further info.